If you’re trying to sell your home or just trying to add to its beauty, you have a lot of options. For example, you may choose to change your furniture, repaint, or even remodel an entire room. However, a quick solution could be a change to the amount of light in your home. If you are relying solely on artificial lights to light your home, you could be missing out on some great opportunities. If you are not relying solely on artificial light, you don’t have to use as much electricity, as the natural light can replace your electric lights throughout the day. Depending on the lightbulb, the cost of each lightbulb is only a few pence per hour, but that quickly adds up over the course of a month. You could easily save a few pounds by installing some large sliding doors to allow for more natural light. 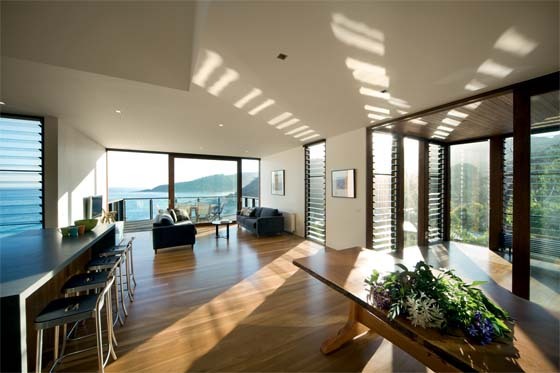 A sliding patio door will allow you to increase the amount of natural light in your home throughout the day. That’s especially true if you install one of the large sliding doors from the Adorn Range. The only question then is where to install it. If you are trying to increase the amount of natural light that comes into your home, you will probably want to install a south-facing door. The south-facing door will track the sun as it moves from east to west across the sky, which will give you the most natural light throughout the day. If it isn’t possible to install south-facing doors, an east-facing door is the next best option. When your door faces east, it will catch the earliest light. While it will not pick up much light later in the day, it will still yield the most light in the morning. Whether you are waking up early to take care of children or to get ready for work, waking up to a brightly lit room makes the morning just a little bit more pleasant. If you want to keep your house cooler during the summer, however, you might choose a door that faces to the west. In the morning and throughout a good amount of the day, it will be in the shadow of your house. The air will be a little bit cooler and could help you cool your entire house. Facing to the north will get you a similar result. Now that you’ve chosen a sliding door and which direction you’d like it to face, you need to investigate the best kind of door. It should be made of very reliable materials, as it will take up a lot of space on your wall, therefore, you do not want a door that is vulnerable. A strong glass door with an aluminium frame will do the trick. Aluminium is strong and resilient, it does not easily bend under pressure nor does it swell or contract in changing weather, which means the glass will stay fast in the frame. Choosing a sliding glass door or replacing your old one can greatly change the dynamics of your home for the better. Start looking today!